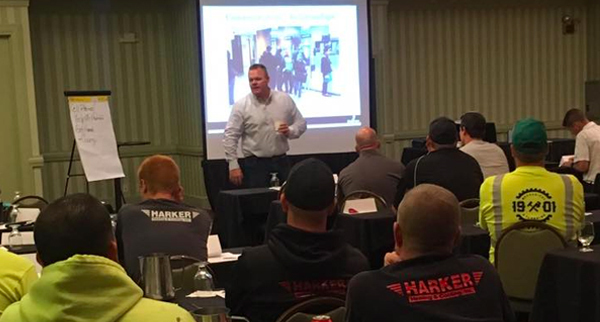 Nic Bittle, founder of Work Force Pro, author, consultant, and speaker, will be the keynote speaker for A Foreman’s Field Guide to Developing Your Workforce Part II Workshop on Thursday, February 28, 2019. There will be one morning and one afternoon workshop that will delve deeper into the 4 core competencies the next generation needs to know to be successful in the construction industry; how to develop these core competencies within your team while on the job; tips, tricks, tactics, and techniques a foreman and supervisor must master to effectively lead; open the lines of communication between a foreman and his/her crew; and much more. Download A Foreman’s Field Guide to Developing Your Workforce Part II for more information and registration details on the two workshops.